It turns out Josh “Jatt” Leesman was right when he trolled the League of Legends World Championship audience with his prediction for the semifinal series between Samsung Galaxy and H2K Gaming. Perhaps the one thing that most separated the teams was simply how quickly and smartly SSG were able to adapt to H2K’s movements. 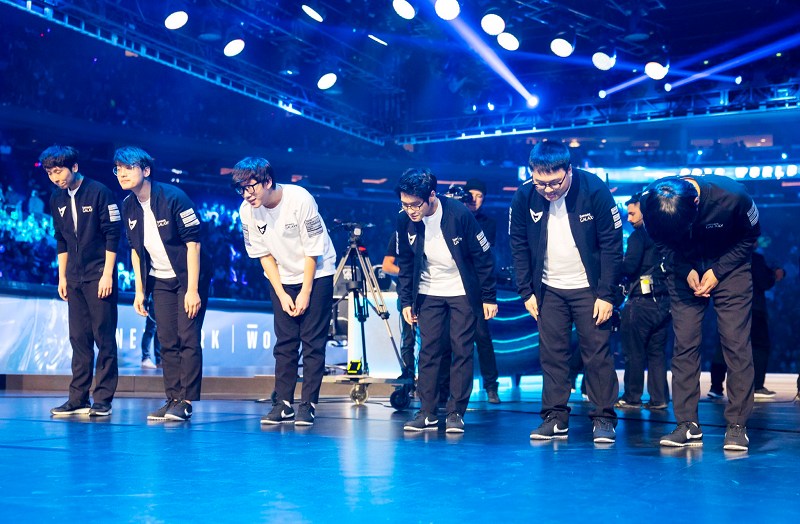 Somehow, they seemed to be able to take each of H2K’s apparent successes, whether a pushed lane here or a good team fight there, and flip them to their advantage. In the first game, a two for four trade that saw H2K come out ahead should have provided a major opening to advance. Instead, the Europeans continued to fall behind in gold even as they picked up kills against a scattered SSG. When Lee “CuVee” Seong-jin took the second tower in top lane as H2K frittered away precious time and resources at mid, panic seemed to break out among the latter. Those moments inside the Baron pit seemed emblematic of the series as a whole. H2K had it within themselves to win the series, or at least make it go the distance, but the law of averages intervened and bestowed H2K with a performance that wasn’t terrible but which would never be enough to actually eat SSG. Had a few small things gone a little differently inside that pit, H2K might have had a lock on game one, and with that even fundamentally altered the course of the rest of the series. Alas, it was not to be. Even with a great damage dealing carry in Konstantinos “FORG1VEN” Tzortziou, H2K’s poor shot calling eventually caught up with them, like a boxer so desperate to find the knock-out blow they end up conceding the bout on points. As a result, SSG will go on to face two-time Worlds winners, SK Telecom T1 next Saturday at 7:30PM EDT in an all Korean Grand Finals.